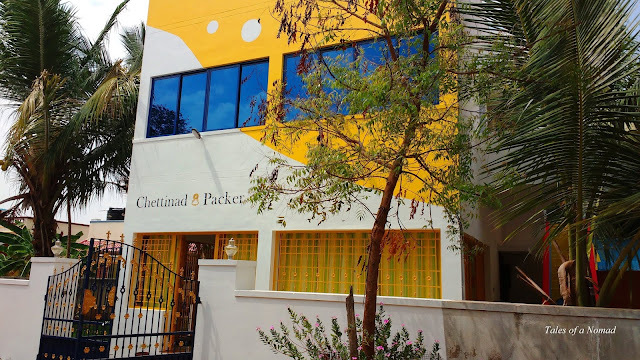 Surrounded by dilapidated palaces and yesteryear bungalows of Chettiars, Chettinad Packers which is a backpacker hostel is a fresh lease of life with its bright coloured outer façade. Located on one of the numerous bylanes of Kanadukathan, Chettinad Packers is one of the few hostels in Chettinad region. Most of the major attractions such as old palatial houses are located a short walk away from the hostel. The surroundings are serene and the terrace offers magnificent views of the old structures in the vicinity. The common area has a television and a few board games. The hostel has both mixed dormitories with bunk beds (with common bathrooms) and three bed rooms with attached baths. 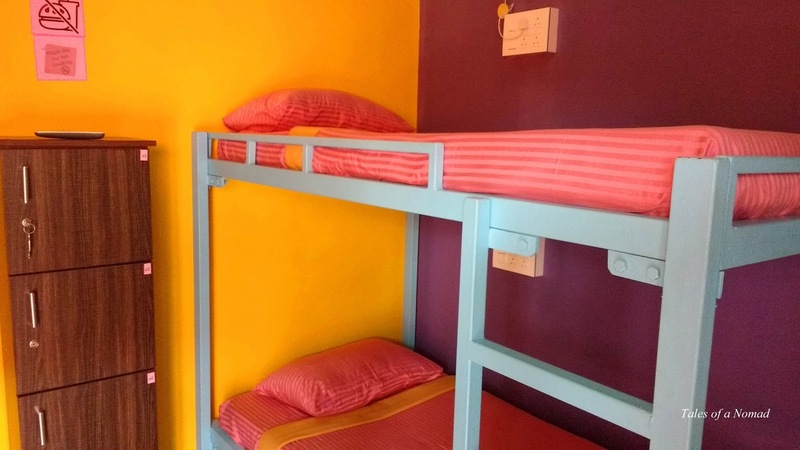 The dormitories have four beds in each and the charges for the bunk beds start from INR 750. Location: The serene surrounding of Kanadukathan is definitely one of the highlights of this hostel. Dormitories: The bunk beds are comfortable, well kept and clean. The baths too are neat. Staff: The staff is pretty friendly and always ready to help guests with routes and attractions. Tariff: INR 750 for a bunk bed is a bit on the higher side and does not include breakfast. Wifi: It is mainly restricted to the common areas. That sounds like a great location. You have pics of the view from the terrace? Yeah, loved the location. Infact, I loved Kanadukathan village. I didn't take any pictures from the terrace of the hostel. However, I do have a few from the terrace of a heritage bungalow. Shall share them in my next post.